Mt. Scott ENT & Sleep Medicine (Clackamas) - Book Appointment Online! At Mt. 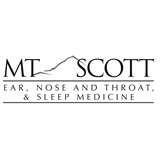 Scott ENT & Sleep Medicine, you will find a unified team of highly trained, caring specialists who expertly work together to provide leading edge, lasting treatments and life-changing solutions for patients of all ages and backgrounds. Let Mt. Scott ENT & Sleep Medicine help you take the first step in your journey towards experiencing the profound changes and improved quality of life you deserve. Dr. Chan has been extremely helpful in helping me to diagnose my problem. He has taken time to call me after office hours to tell me test results, spoken to me on the phone about concerns, and is working with me to figure out what is wrong. I'm very happy and grateful to have him as my doctor. I appreciated her taking the time with me she did and her feedback on what she wanted regarding my cpap issues. I will definitely recommend her to others. Dr. Roberts is great. He listens to patient questions/concerns and takes the time to explain and then allows the patient to be engaged in their healthcare. Very refreshing!